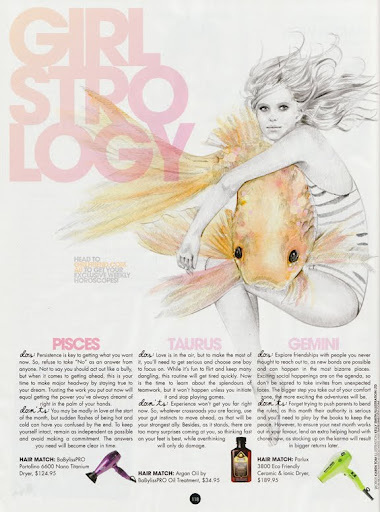 featuring my new illo for Girlstrology. Say hello to Miss Pisces! Happy Birthday to all the Pisceans out there! so i'm keen to start experimenting with a different style! If they turn out okay I might post some of them. Hooray hooray - im in frankie today! Except they forgot to credit my illustration...so no one will ever know. So, regardless of no one actually knowing that i'm it - i'm over the moon! in the mag, and hopefully a good example of what you'll find at the show. 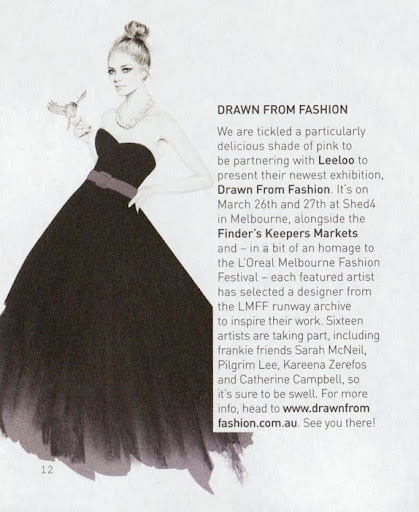 inspiration from various creations from LMFF designers over the years. I, for one, am excited! Hopefully it won't be long until everyone can start sharing some of these works.